We designed our presentations to answer the needs of our guests. FSD’s experts shared experiences of using the DDI-C metadata format, the process of joining national and international multidisciplinary catalogues, the significance and utilisation of controlled vocabularies, and the CoreTrustSeal certification, among others. 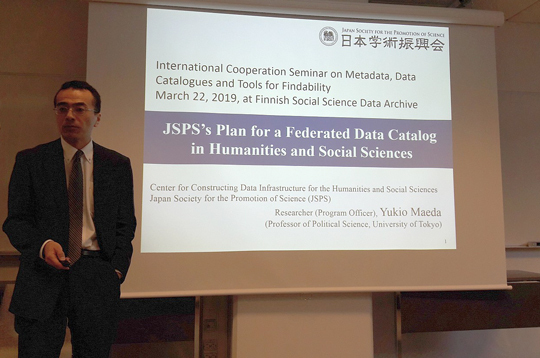 In addition to talks by FSD experts and our guests from Japan, the seminar featured presentations by the Director of CESSDA Ron Dekker and the Swedish National Data Service’s IT Systems Architect Olof Olsson. It is important for CESSDA to collaborate with organisations outside of Europe. 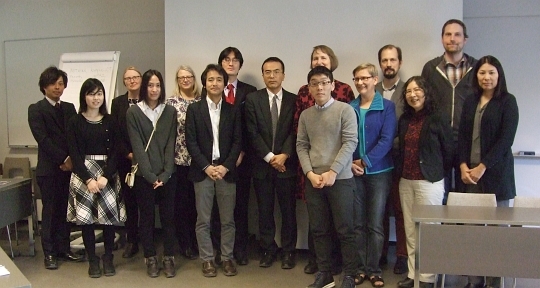 The seminar in Tampere provided a good opportunity to share information about CESSDA strategy and objectives in responsible data sharing as well as the CESSDA Data Catalogue, which contains both FSD’s and SND’s metadata. SND makes use of the DDI-L format, and Olsson’s presentation on the topic offered a good comparison of two distinct metadata solutions. The presentation was also interesting from FSD’s systems development point of view. Kovin tutulta vaikutti myös se, että datainfrastruktuurin rakentamista ei varsinaisesti koordinoida Japanissa kansallisesti. Rahoittaja on avannut kilpailun, josta eri palveluntarjoajat ovat voineet hakea rahoitusta tietyin ehdoin määritellyille hankkeille. Kansallinen kokonaiskuva rakentuu siitä, mitä erilliset organisaatiot pitävät tarpeellisena – ja mitä rahoittaja näistä esityksistä jatkoon valitsee. Perustamisvaiheen ohella pohdittavaa aiheuttaa infrastruktuurin toiminnan vakiinnuttaminen rahoituskauden päättyessä. When survey questions are being translated, there’s very little room for interpretation. In studying attitudes, how something is asked may have almost as big an effect on the frequency distributions as what is asked.1 The users of translated data have to be able to trust that the translated questions correspond to the original ones as closely as possible in terms of both content and form. Researchers may draw far-reaching conclusions based on the translated questions, which is why it’s essential that non-Finnish-speaking researchers gain an understanding of what the respondents were originally asked and how the questions were phrased. One of the challenges of translating variables faithfully is posed by the errors and inconsistencies sometimes found in source texts. At its worst, an error in a Finnish question may affect how the respondents answer the question, and the non-Finnish user of the data will wonder what has caused the unexpected frequency distributions. When translators notice an error, they have to consider how significant it is and whether it has actually affected the responses. The translator also needs to decide how to communicate the error to data users. 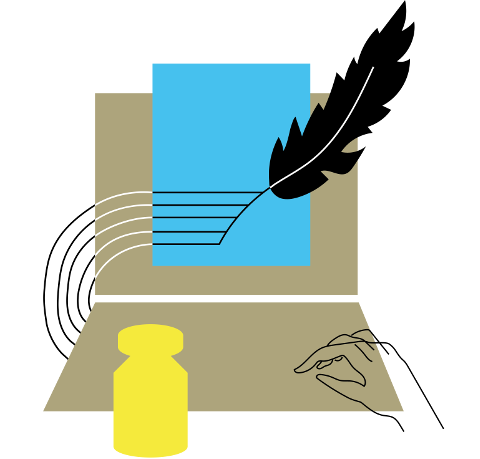 Replicating the error in the translation is rarely a good option because a user won’t know whether the error originated from the source text or the translator. As translators at FSD, we’re lucky to have the possibility to provide further information on the translations to users through a separate file. These translation notes usually contain information on the word choices and translation strategies used. Questions presented in surveys often have elements or expressions that are specific to the Finnish culture and have no obvious counterparts in English. In these cases, the concepts need to be explained to foreign users. For example, in one dataset, the respondents were asked whether ”red cottages and potato fields” are part of the Finnish rural landscape. This expression is similar to the ”white picket fence” used in the United States referring to a sort of simple and idyllic life. However, because our users are from all over the world, domesticating the question for a culturally limited audience is not a good idea. For users who are not familiar with either the Finnish or the American culture, we would simply be replacing one culture-specific expression with another. In situations like this, the translation notes are of great help to us, as we are able to explain expressions that might otherwise be incomprehensible to some users. The translation process at FSD usually takes a few weeks depending on the size of the data and the translators’ workload. After the translation is complete, the data are available on our Aila Data Service to all users who need it in English. This is why we always put a lot of care and effort in translating all of the data instead of specific, individual variables needed by one user. Some might say that a data translation is never close enough to the source text to make research on translated variables feasible. It’s been noted, for example, that some established measurements of well-being do in fact measure slightly different concepts in different languages.2 Full equivalence can perhaps never be achieved, but this is rarely the goal of translation. It’s good to remember that language is built on interpretations, and even speakers of the same language may understand the same question in different ways in attitudinal surveys. Questionnaire design and translation do not always receive the attention they deserve, although well-formed questions are likely to lead to better validity. In international comparative surveys, it’s particularly important that all respondents are asked the same things in the same way. If you plan to use questionnaires in more than one language, having questionnaires translated by a professional translator is something to consider when planning data collection. Surveys conducted in a single language also benefit from proofreading by a professional to prevent potential errors or inconsistencies from endangering the objective of the study. 2 Lolle, Henrik Lauridsen & Jørgen Goul Andersen (2015), ”Measuring Happiness and Overall Life Satisfaction: A Danish Survey Experiment on the Impact of Language and Translation Problems”, Journal of Happiness Studies 17 (4): 1337-1350. Tutkimuksissa esitetyt kysymykset sisältävät usein kulttuurisidonnaisia elementtejä, joille ei ole olemassa termejä englanniksi. Tällöin termien käsitesisällöt täytyy selittää auki ulkomaalaiselle jatkokäyttäjälle. Esimerkiksi eräässä aineistossa vastaajilta kysyttiin sitä, kuuluvatko ”punaiset tuvat ja perunamaat” suomalaiseen maaseutumaisemaan. Ilmaus on hyvin kulttuurisidonnainen, ja vaikka sille löytyisikin vastineita joistakin kulttuureista, on otettava huomioon, että asiakkaamme voivat olla mistä päin maailmaa tahansa. Siksi kysymyksen niin sanottu kotouttaminen yhteen kulttuuriin tai maahan, vaikkapa yhdysvaltalaisille tutulla kielikuvalla, ei ole suositeltavaa. Myös tässä tapauksessa on suureksi avuksi, että voimme toimittaa asiakkaalle lisätietoja käännöksestä ja selittää esimerkiksi, että punainen tupa ja perunamaa ymmärretään Suomessa usein eräänlaisena maalaisidyllinä. The Implementation Roadmap for the European Science Cloud (EOSC) puts focus on research data adhering to the FAIR principles of being findable, accessible, interoperable, and reusable. These are all excellent goals and the social science data archive community has been promoting similar ideas since at least the 1970’s. 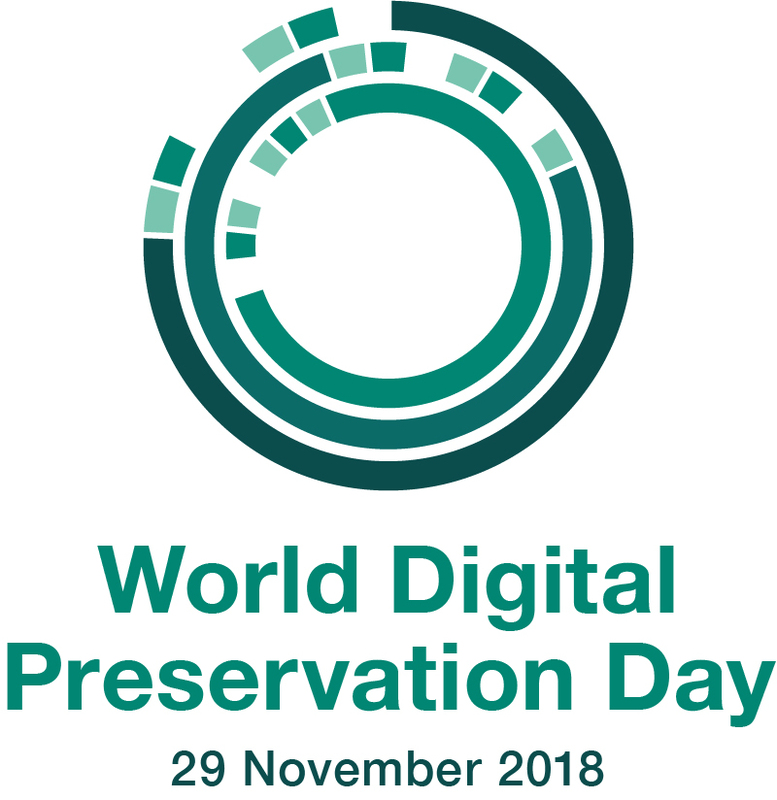 We know that managing, disseminating and preserving digital data for the long term is neither simple nor straightforward. Research data will not become nor stay FAIR by magic. We need skilled people, transparent processes, interoperable technologies and collaboration to build, operate and maintain research data infrastructures. 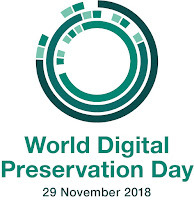 A key theme in digital preservation and thus in all FSD’s functions is trust. Data subjects need to be able to trust that data about them are handled in an appropriate way. Researchers need to have trust that FSD manages their data according to the agreements. FSD’s users need to be able to trust that they get access to reliable versions of data from FSD and that, for example, all changes made to the deposited datasets are documented. In short, FSD needs to be a trusted digital repository. 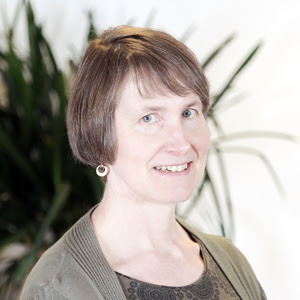 FSD has been active in CESSDA’s trust work for several years and currently I am a member of the CESSDA Trust Working Group. The Group offers guidance and support to CESSDA members in understanding and acquiring the CoreTrustSeal and maintains an overview of the trust landscape including certification standards and the emergence of the FAIR data principles and the requirements of the EOSC. 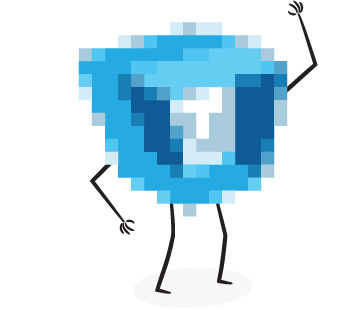 I am also a member of the CoreTrustSeal Board 2018–2021. These collaborations are essential for strengthening FSD’s expertise. They also provide unique insights to, and possibilities to be involved in, shaping the trust landscape. Siirtämällä datan Ailaan asiakas ei julkaise aineistoa itsenäisesti. Kyseessä ei siis ole itsearkistointi. 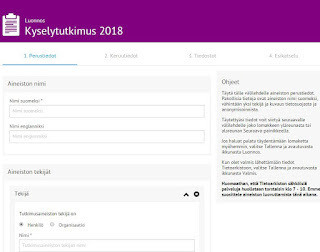 Tietoarkiston asiakaspalvelu tarkistaa saadun materiaalin ja arvioi arkistointikelpoisuuden sekä prosessoi ja kuvailee datan Tietoarkiston käytäntöjen mukaan. Aineisto tulee Ailan aineistoluetteloon vasta tämän jälkeen – aivan kuten tähänkin asti. Euroopan unionin yleistä tietosuoja-asetusta, tuttavallisemmin GDPR:ää, ja sen aiheuttamia muutoksia tutkijoiden, yliopistojen ja arkistojen toimintaan on odotettu kauhun sekaisin tuntein jo kohta kuusi vuotta. Otsikon kysymys pyöri mielessä varmasti monella osallistujalla Tietoarkiston ja Avoin tiede- ja tutkimus -hankeen loka-marraskuun vaihteessa järjestämissä seminaareissa EU:n tietosuoja-asetus – tietosuojalainsäädännön muutokset tutkimuksessa ja arkistoinnissa sekä Tietosuoja ja tutkittavan suostumus osallistua tutkimukseen. Paikalla ja etänä tapahtumia seurasi yhteensä lähes tuhat ihmistä. 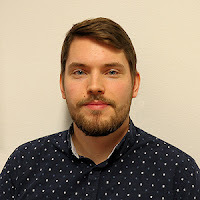 Valitsimme seminaarien ajankohdan hyvissä ajoin olettaen, että kotimainen tarkentava lainsäädäntö ja Euroopan tietosuojatyöryhmän odotettavissa olevat suostumusta koskevat ohjeet olisivat valmistuneet. Olimme sittenkin etuajassa, emmekä valitettavasti saaneet lopullisia vastauksia kaikkiin kuulijoiden – ja osin järjestäjienkin mieltä vaivaaviin kysymyksiin. 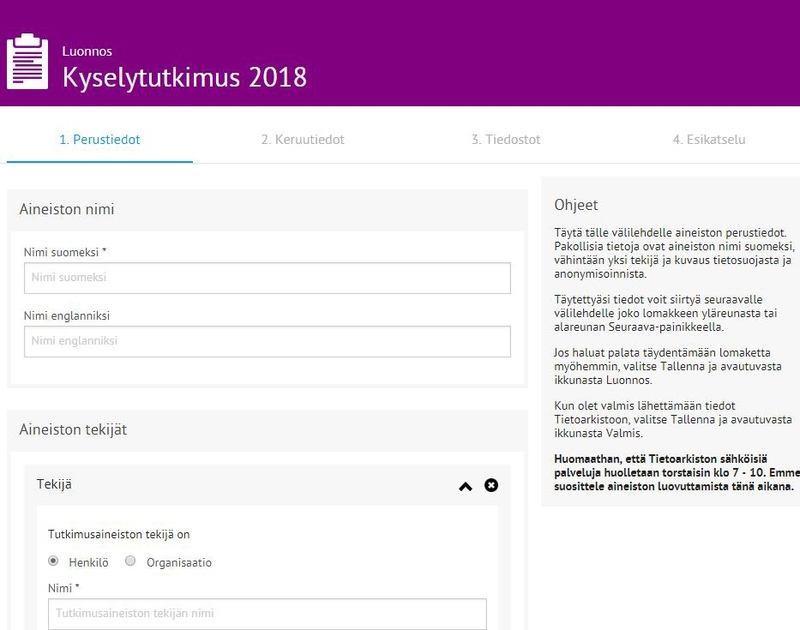 Tutkijoiden on syytä huomata, että tietosuojakielen ”rekisteröity” tarkoittaa heidän tutkittaviaan, jos itse tutkimusaineisto sisältää henkilötietoja. Lisäksi henkilötiedon käsite on paljon laajempi, kuin tutkijat ajattelevat sen olevan. Kun tutkii ihmisiä ja yhteiskuntaa tavalla tai toisella, kannattaa olla kiinnostunut EU:n tietosuoja-asetuksesta ja tulevasta kotimaisesta lainsäädännöstä. 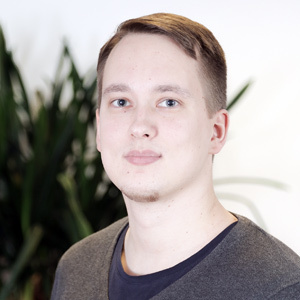 Tietosuojavaltuutetun toimiston ylitarkastaja Anna Hänninen muistutti esityksessään myös, että tietosuojan toteuttaminen tutkimuksessa ylläpitää luottamusta tutkimukseen yleisesti.